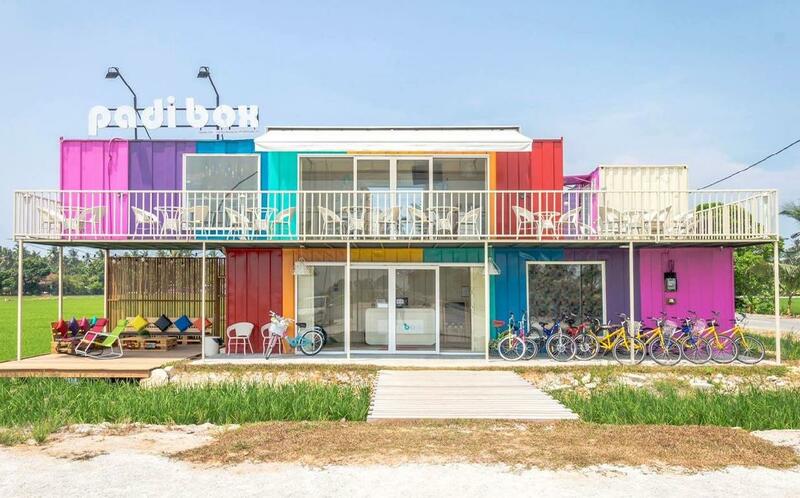 Padi Box, a cosy homestay and café exquisitely designed from freight containers offering a relaxing space amongst the famous paddy fields of Sekinchan. Located just approximately 1.5 hours drive from the hustling and bustling of the KL city centre, you will experience a unique hospitality concept and be greeted with a breathtaking view of lush greenery. At Padi Box, you will wake up every morning in the serenity of a picturesque paddy fields and fresh air, guaranteeing a relaxing holiday where you can fully wind down. We offer different types of rooms which equipped with comfortable beds, private bathroom, TV and free WIFI. Adjacent to most of the popular tourist highlights and seafood restaurants in Sekinchan, Padi Box is an ideal option for couples, families and friends who would like a short getaway to enjoy slow pace of living and the beauties of nature. Search for your rooms and place the booking with us now! WISH TO BOOK AND CHECK IN ON THE SAME DAY? Please call/ whatsapp us if you would like to book and check in on the same day itself. Once booking is placed, your room will be reserved for 24 hours until full payment is made and notified. The system will auto release the rooms if payment has not been received and it will then open to public for booking again. Tips! Please contact us (preferable whatsapp) if you need to double confirm on the room u want is being hold by others at the moment. Tips! Please do your search step by step - by each night for each room if your would like to book more than one room/ one night to have more accurate room availability. Dorm "ROOM TYPE D" is sharing basis. Tips! 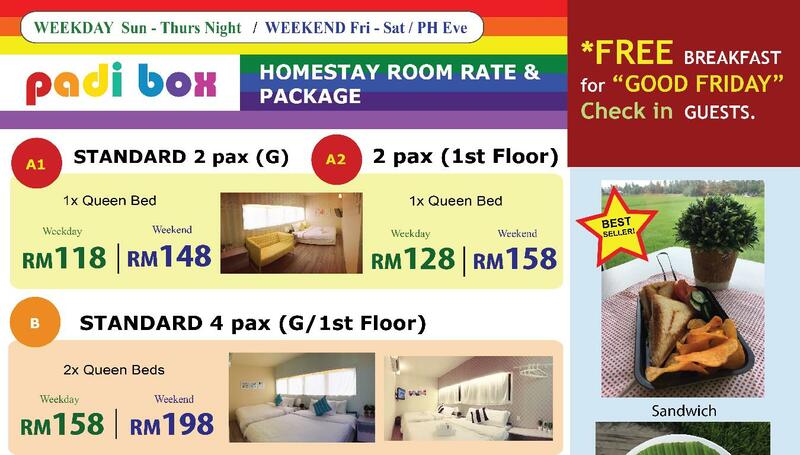 Please select all 8 beds if you would like to book the entire dorm without sharing with others. If the selection is less than 8 beds, the remaining beds that are not being selected will be opened to public for booking. HAVING PROBLEM TO TROUBLESHOOT? LOOKING FOR ADD-ON PACKAGE such as BBQ/ Catering Services/ Celebration for Birthday or Anniversary? 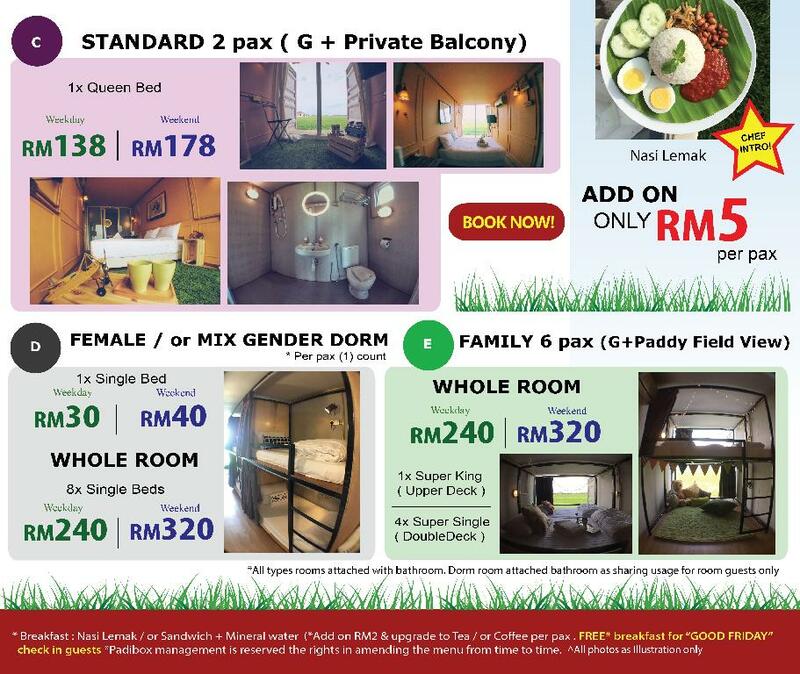 Contact us via Whatsapp or Call at 0193205688 / Facebook Messenger at Sekinchan Padi Box - homestay. From KL to Sekinchan => 5minutes before reaching Sekinchan town, you will notice there is a new Petron petrol station on your left. Look at the opposite road on your right for Jalan Tali Air 4 road sign. Turn right and we are just located 500 meter away from the Main Road. Yes, we are located next to the paddy field!